This saturday, 8th January 2011 I’m running a small geeky arts project at Madame Lillie’s gallry in Stoke Newington. The smile project attempts to capture snapshots within the exhibition space. The audience takes an active role as part of thework and passively or actively affects it. The exhibition space is a number of webcams, each captures still-image snapshots at random. Some cameras are hidden, whilst others are visible. Those snapshots are then randomly layed-out and printed onto a photographs every few minutes. The audience is invited to take those snapshots home, as a souvenir and a piece of the artwork. Each snapshot is unique and cannot be reproduced. The images are deleted immediately after being processed and printed out. 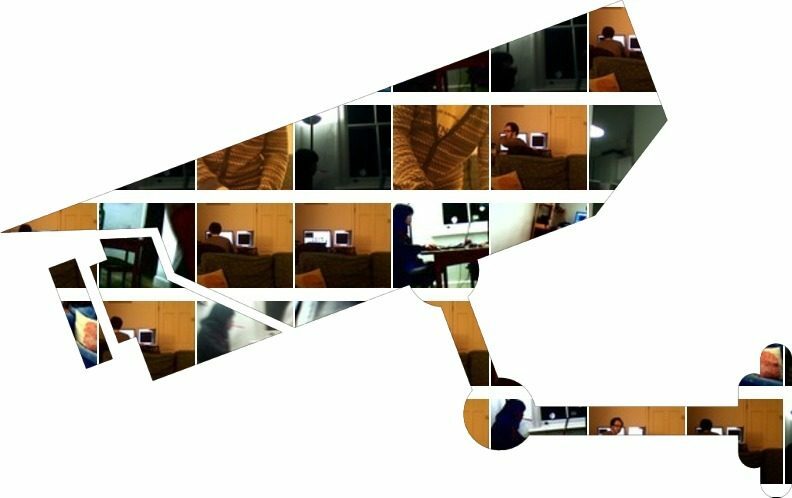 Influenced by thoughts about the London surveillance network, the smile project looks at the proliferation of cameras that capture parts of our lives, and the knowledge that we all, willingly or unknowingly appear in images captured by others. With the advances in technology it is becoming increasingly easy to take photos and videos. It is also cheap and easy to keep those on file for a long period of time, perhaps indefinitely. Photos and videos that we take these days are instant and perishable: they appear briefly on our facebook page and get immediate attention until quickly replaced by others. Yet at the same time we cannot truly delete them. Once posted online, they are beyond our control. They are stored electronically, archived and backed-up. They are searchable and indexed. Whether we are the subjects of the images or those who create them, we have little control over them. smile is attempting to both make use of and question the technology that dominates our modern lives. It is meant to be a fun and humorous experience, involving the audience and rewarding it. It uses digital imaging technology, but produces a tangible, unique output. The creation process involves programming in various scripting languages, using a mix of digital tools, primarily open-source, all form a part of a random montage.